Miniature me is Children’s wear brand extension to the already existing Womenswear brand Missguided. The collection is inspired by the 60’s for the girls and 50’s for the boys. The brand focuses heavily on intricate prints, bright colours and highly detailed finishes. The intention is to add value to the existing Missguided brand by introducing a line which specializes in high quality, timeless but fashionable pieces to bring Missguided into a higher end of the market. The target market for Missguided is 18-30 year old's which is the generation of mum’s, the hope is that the Missguided consumer will have grown up with the brand and will shop for both themselves and their children simultaneously. 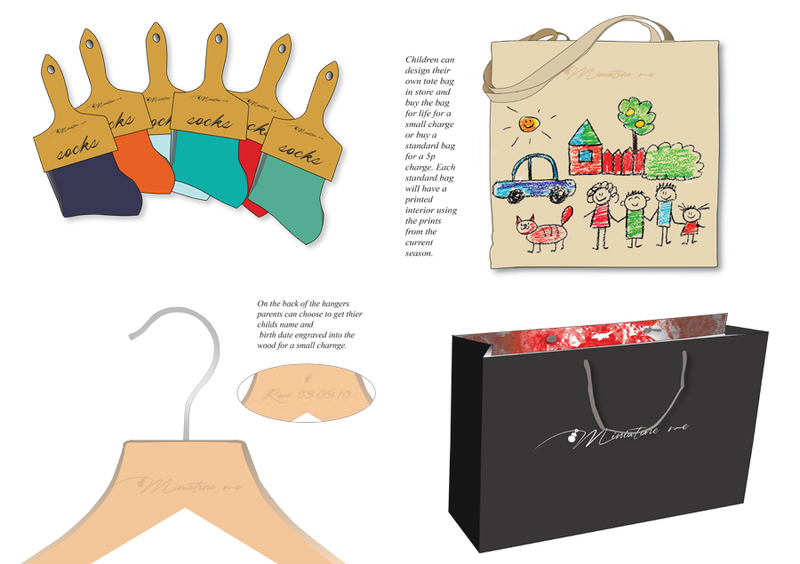 The marketing plan looks at the opportunity to open their first children’s wear store focusing on interactive features which enable to brand to engage with the consumers’ needs which is one of Miniature me’s brand values.